Nant Distilling Company in Bothwell serves a nice Sherry Cask Whisky (photo: Brook James). A winter getaway exploring Tasmania’s Whisky Trail is a beautiful pilgrimage of some of the world’s finest single malts. On a crisp morning we head down a farm lane lined with paddocks of golden rye, past a prim 19th-century sandstone manor house and into the seemingly haphazard world of Renaissance man Peter Bignell. A fourth-generation farmer, first-generation distiller, and internationally renowned sand and ice sculptor, Peter’s creative domain bears more than a passing resemblance to a mad scientist’s workshop. He’s adapted an industrial clothes dryer into a malting machine, uses a meat grinder to stop sprouted rye from growing further, and converted a burner from his aunt’s swimming pool to heat a home-made, biodiesel-powered copper still. His paddock-to-bottle Belgrove Distillery is the greenest distillery in existence. More significantly for whisky lovers, his 100 per cent rye whisky just scored a ‘Liquid Gold’ rating from Jim Murray, the world’s foremost whisky commentator, ranking it in the top two per cent of the world’s whiskies. Winter may be the perfect season to savour single malt whisky beside the fire after a bracing hike or game of golf. But it is also an excellent time to tootle along Tasmania’s ever lengthening whisky trail to meet its colourful cast of craft distillers who are turning grass seed into gold in locales that range from tin sheds to historic stables, convict-built mill houses to unassuming warehouses in Hobart’s industrial estate. Don’t be deceived by appearances, though; one such warehouse is the home of Sullivans Cove, which was named the 2015 Craft Whisky Producer of the Year in the World Whiskies Awards. Even if you are not a whisky aficionado (yet), there’s plenty to entice you along the way with fascinating stories, new turns of phrase like ‘angels’ share’, and sublime flavours to discover, not to mention pristine landscapes primed for golf, fly fishing and all sorts of pursuits that go hand-in-glove with a wee dram. 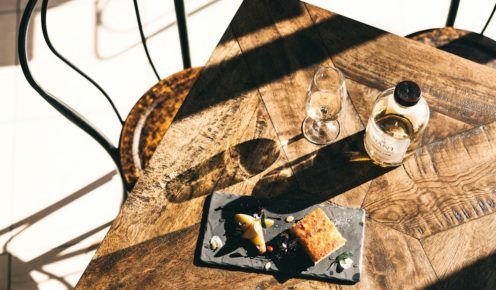 Then, of course, there are plenty of edgy delights in Hobart – yes Hobart – from the always-evolving MONA to a flock of new bespoke restaurants that appeal to young urban single malt lovers who couldn’t be more different than whisky’s traditional grey-whiskered imbibers. Tasmania has all the ingredients and ideal conditions for malt whisky, and yet 154 years went by after the last licensed distillery on the island was shut down, before someone realised the environment was perfect for whisky production. 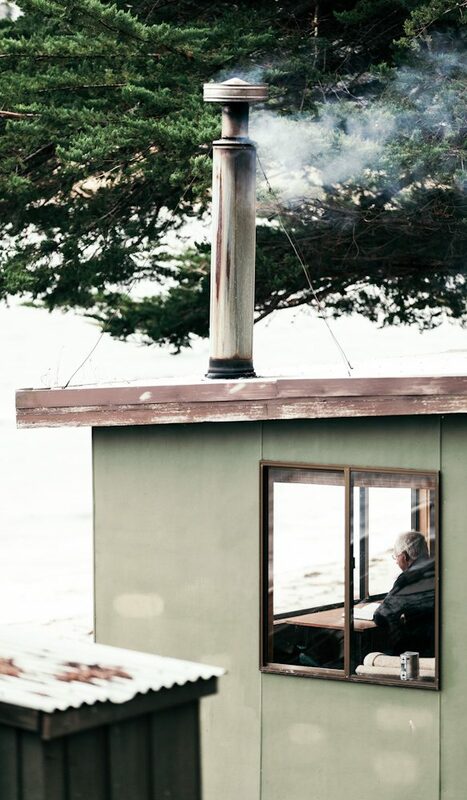 In 1992, the Godfather of Australian whisky, Bill Lark, was fly-fishing with his father-in-law, Max, on the gentle Clyde River in the Tasmanian highlands. When Max produced a bottle of fine Scottish single malt, Bill had a light-bulb moment. “I wonder why there isn’t anyone making malt whisky in Tasmania,” he said, when he realised they were surrounded by all the ingredients: rich barley fields, an abundance of pure soft water, highland peat bogs and the perfect climate for ageing whisky barrels. 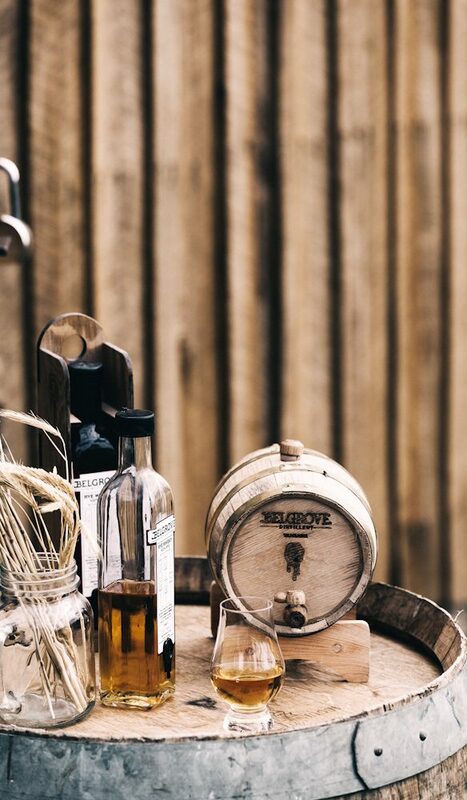 Just four years after the Van Diemen’s Land colony was settled, Tasmania’s first distillery opened in 1807 and by the 1820s the spirits industry was thriving. The ‘rum economy’ (everything was called rum in those days) put considerable tax revenues into government coffers. However, in 1838 teetotaller Governor John Franklin shut it all down, creating a prohibition on distilled spirits. When Bill started making enquiries, he found that modern-day stills could not be smaller than 2700 litres, preventing the development of craft distilleries. After some effective lobbying, Federal law was changed and he asked local boilermaker Peter Bailey to build him a still. Since Tasmanian whisky’s Second Coming, 14 distilleries have opened across the state and six more will come on line this year. For whisky lovers and the whisky curious, it is an ideal time to check it out since you’ll be able to meet the trailblazers as they go about their business owing to the fledgling size of the industry. The best place to start is at the Lark cellar door on the Hobart waterfront. 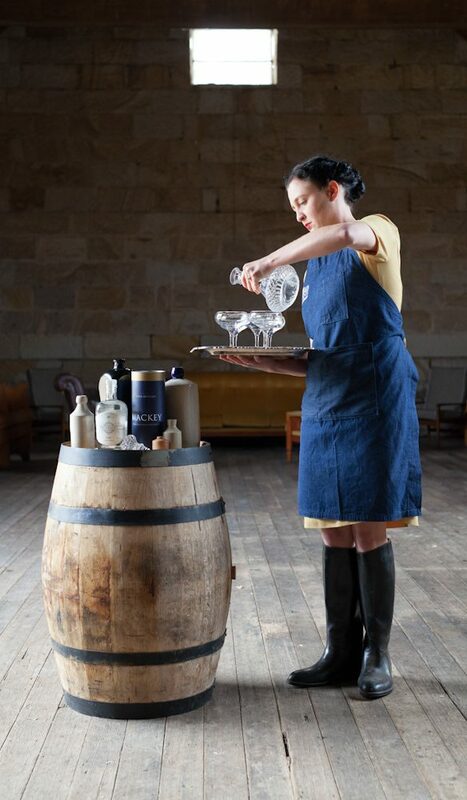 Be sure to have a peek at the original still in the appropriately named Still Room before sampling a few of the 150 premium malt whiskies from Tasmania and around the world starting, of course, with Lark. You can also taste its Forty Spotted gin (many Tassie distilleries are now also making gins) as well as a great selection of Tasmanian beer, wine and cider. Last year, Bill Lark was inducted into the Whisky Hall of Fame, only the seventh honouree outside of Scotland or Ireland and the first from the Southern Hemisphere. You might be lucky to find him holding forth at the bar or hanging out with his motorcycle buddies on the terrace. He’s always up for a chat. We visit our first distillery in Bothwell near where Bill had his epiphany. 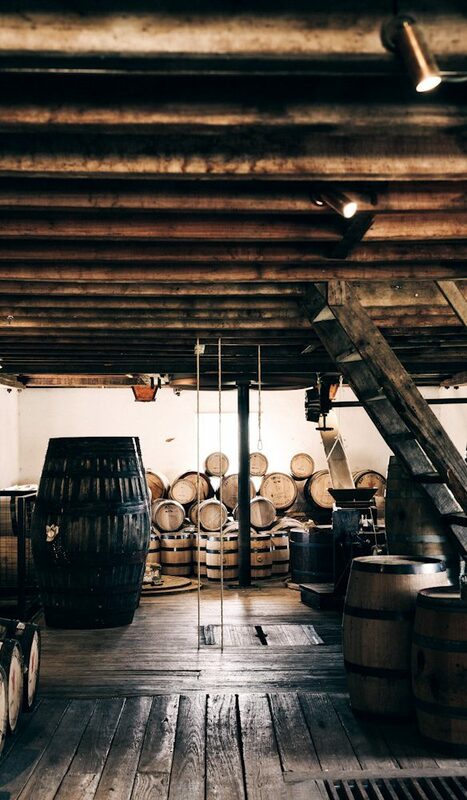 Set on a working farm that grows its own barley, Nant Distilling Company is based in an 1821 convict-built mill house above a stream that powers the wheel that turns the restored grindstones that grist the malted barley for its whisky. Well, at least some of the time. Australia’s oldest water-powered flour mill may be atmospheric but it’s slow, so they have a 21st century grist mill, too. After lunch in the atrium restaurant, we enjoy a tour with young English-born, Scottish-trained head distiller Jack Sellers, who peppers a terrific explanation of the whisky distilling process with a generous dash of history. The original farmer, it turns out, named Nant after the Welsh word for ‘stream’. Queensland property developer Keith Batt bought the dilapidated property in 2004 and taught himself how to distil with the help of a former James Boag’s brewer. 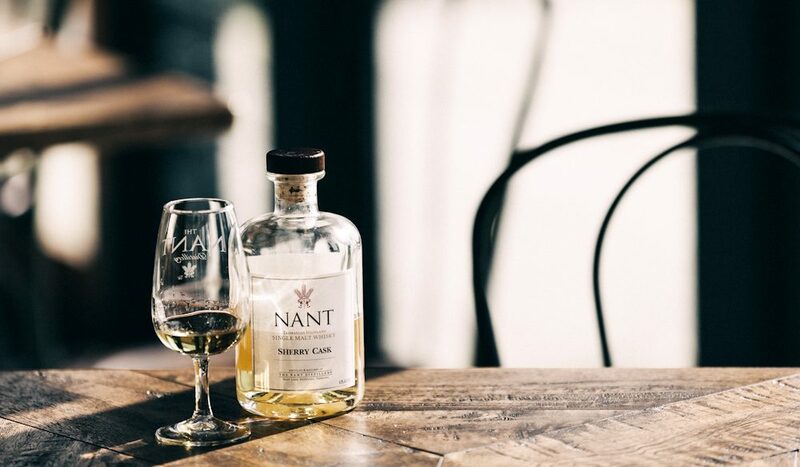 In 2012, just four years after beginning commercial production, Nant’s American oak, bourbon cask single malt whisky was ranked among the top 50 whiskies in the world in Jim Murray’s Whisky Bible. Jack gives us a tasting of all three of Nant’s whiskies to show us just how much of a whisky’s character comes from the time aged in barrel. My favourite is the bourbon barrel’s sweet caramel flavours but it is intriguing to compare that with the spicier notes of the American oak sherry barrels and the soft fruit cake flavours of the French oak port barrels. 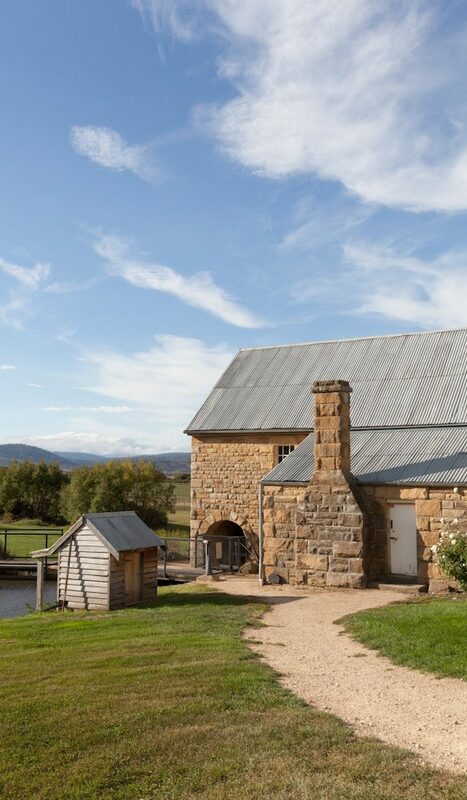 After savouring Tasmania’s only highland single malt whisky, it seems only appropriate to stay at nearby Ratho Farm, whose owner Greg Ramsay believes is Australia’s oldest golf course, laid out links-style by the pioneering Reid family who emigrated from Scotland in 1822. After a brisk nine holes on the rolling sheep-dotted course, we join other guests for a whisky (of course) and a simple dinner in the atrium dining room of the old homestead, its gum-tree entrance pillars a rustic Australian take on Greek Revival architecture. We spend the night in one of the restored convict-built cottages and next morning catch a glimpse of the resident platypus among the reeds of the pretty Clyde River. They say platypuses are a sign of pristine waters, so clearly it’s good raw material for local whisky distillers. We pursue more pure waters all the way up to Lake St Clair, past Lark Distillery’s peat bogs near Bronte Park, to the sublime Pumphouse Point (see more about Pumphouse). 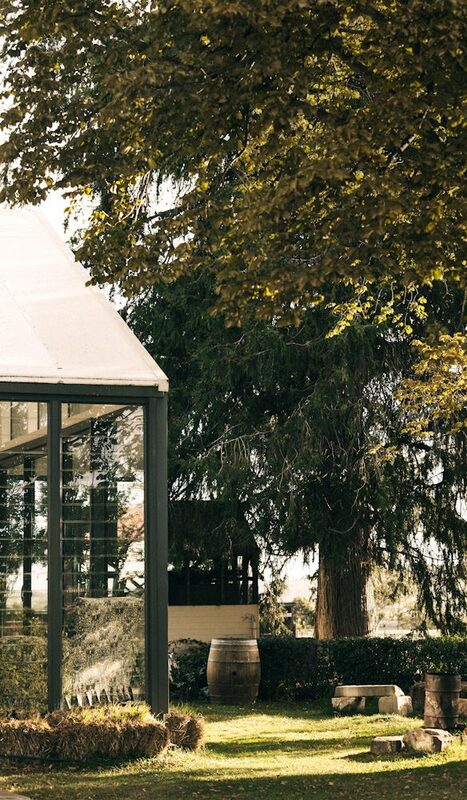 The passion project of Tasmanian tourism visionary Simon Currant, who also developed Cradle Mountain Lodge, this inspired wilderness lodge rests gently inside the temple-like framework of an historic hydro-electricity pumping station in the middle of the lake. From the cloud-like bed at dawn I gaze dreamily through giant windows as a fog hovers above the lake under the palest pink sky. We spend the day fly-fishing its crystalline waters on guide Josh Bradshaw’s boat, his fishing tackle kit stocked with Nant single-malt alongside its gum beetle and caddisflies. At Josh’s suggestion, I scoop cupfuls of mineral-free water right out of the lake, astounded by its softness. The next day, we get stuck into whisky tasting with a pro. Brett Steel, the founder of Drink Tasmania, has been running whisky tours for a couple of years now and there is nothing he doesn’t know about the local industry. Our first stop is Sullivans Cove, which was catapulted to superstar status when its French Oak Cask HH525 was voted the World’s Best Single Malt Whisky at the 2014 World Whisky Awards, the first time a whisky from somewhere other than Scotland or Japan has achieved this honour. While the price of their whisky has soared, the biggest change at the distillery was a move from a tiny warehouse to a bigger warehouse in the same block. Now there’s a tasting room with quaint barrel lights and chairs, but it’s still the same unassuming down-to-earth place it always was. Brett gives us the grand tour before we savour not only the toffee flavours of whisky from the spectacular French oak cask, but also the vanilla notes of the multi-award-winning American oak cask single malt. I ask Sullivans Cove boss Patrick Maguire why his whiskies have taken the world by storm. “We have such high quality ingredients and pay a lot of attention to detail every step of the way. As a boutique operation, we take the time to do what needs to be done slowly and well. It makes all the difference,” he smiles. 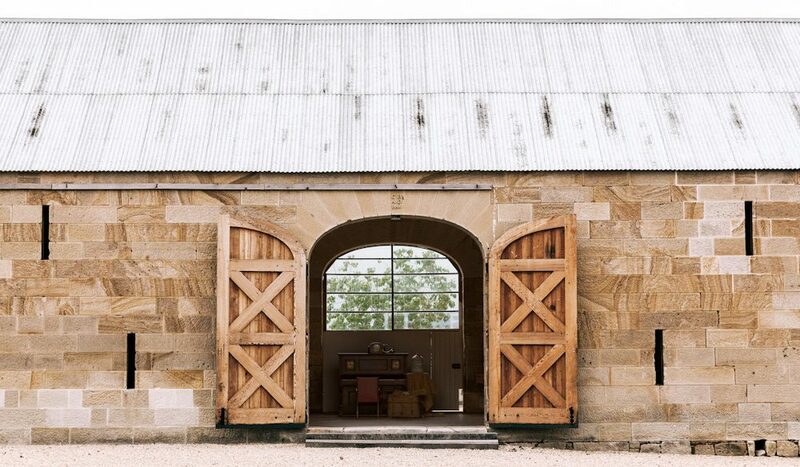 Our next stop is the sublime Shene Estate, where the Kernke family has painstakingly restored an exquisite 19th-century Gothic Revival sandstone stables and barn on land where they plan to grow their own barley. They’ve joined forces with craft distiller Damian Mackey, who’s been making ultra-fine, triple-distilled Irish whiskey for nine years as well as, more recently, an unfiltered and filtered Poltergeist gin, in honour of the witch-protection pagan symbols the Kernkes discovered on the property. “We’re inspired by the process of alchemy… the never ceasing quest to create something rare and unique from the most humble of ingredients,” says Myfanwy Kernke. That sentiment could apply to the entire Tasmanian whisky trail, as you’ll discover when you venture forth. Virgin Australia and Jetstar offer regular flights to Hobart. The Islington Hotel – This small art-and-antiques-filled luxe hotel can be found in a tranquil garden not far from Hobart’s CBD. Enjoy its spacious rooms and dine in the glass-enclosed conservatory. 321 Davey Street, Hobart. Pumphouse Point – Stop here for a sublime wilderness experience in a sensitively restored former hydro-electric pumping station. Bushwalking and fly fishing are on your doorstep. 1 Lake St Clair Road, Lake St Clair. Ratho Farm – Accommodation here takes the form of restored convict-built farm buildings surrounding a colonial homestead. Play a round with a set of hickory sticks on Australia’s oldest golf course. 2122 Highland Lakes Road, Bothwell. Hot new Hobart restaurants include Aloft, and The Glass House, a bar with Asian-style tapas, both in the new Brooke Street Pier, and Templo on 98 Patrick Street, North Hobart. Sample Tassie’s finest with DrinkTasmania’s Whisky Tour. Also dont miss out on the McHenry Distillery. Australia’s southern-most whisky distillery located at Port Arthur. New cellar door will be opening ready for the summer! A brillaint and detailed article featuring some great Tassie distilleries. And as Bill Mac says, there’s plenty more, too. McHenry’s at the beautiful Tasman Peninsula, Launceston Distillery near the airport, and of course my ‘local’ Hellyers Road in Burnie. We love supporting the porudcers and spreading the word.